Cale has developed a (good) habit of putting his uneaten food in the fridge before bed. 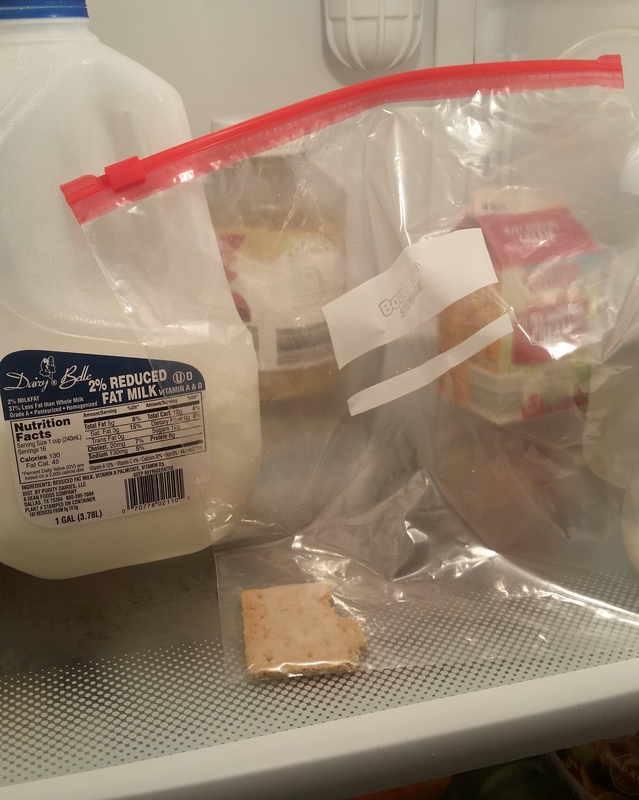 Well, I just opened the fridge to find the largest freezer bag with a half eaten graham cracker in it. I love these little treasures. We’re Already Having The Talk?